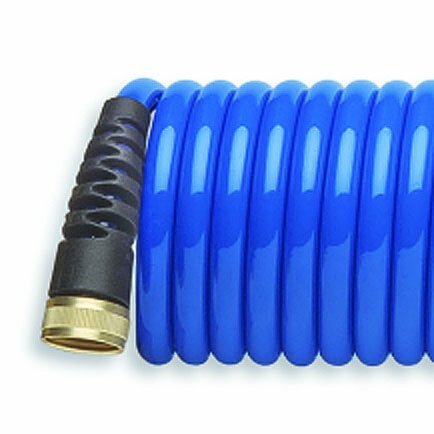 HoseCoil 15 foot hoses are lightweight, self-coiling hoses. The hoses are built with standard 3/4 inch; field serviceable solid brass fittings, and our newly upgraded (HP) high performance Polyether material. A HoseCoil hose is the perfect solution for using and storing a hose. If you have any questions about this product by HoseCoil, contact us by completing and submitting the form below. If you are looking for a specif part number, please include it with your message.